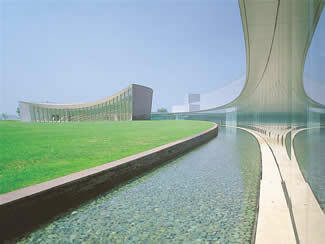 Gunma Museum of Art, Tatebayashi was opened on October 26, 2001 in Tatebayashi as the second prefectural art museum. Tatebayashi is located in the far eastern part of Gunma and away from Takasaki, where the Museum of Modern Art, Gunma was established in 1974. The one in Tatebayashi has been providing art appreciation opportunities to the residents of eastern Gunma.